Morrison Ranch is located at the eastern edge of Gilbert, Arizona - one of the fastest growing cities in the United States. Combining small-town charm with award-winning schools, world-class cuisine, and a thriving economy, it's not hard to see why people are making the move to Gilbert...and Morrison Ranch. The majority of Gilbert residents are under the age of 50, providing a great source of workers for growing businesses and industry, as well as fostering a young family-oriented sense of community. 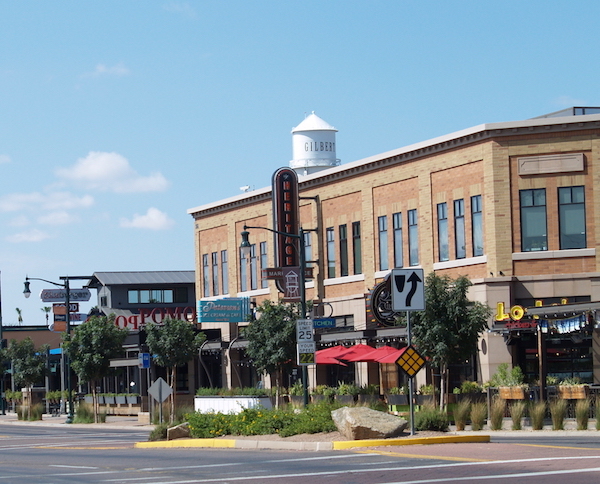 Once known as the "Hay Capital of the World", Gilbert now finds itself with a thriving economy centered on business and real estate. Boasting one of the best school districts in the nation, Gilbert serves its younger population with stellar educational opportunities, ensuring an even brighter future for residents old and new. 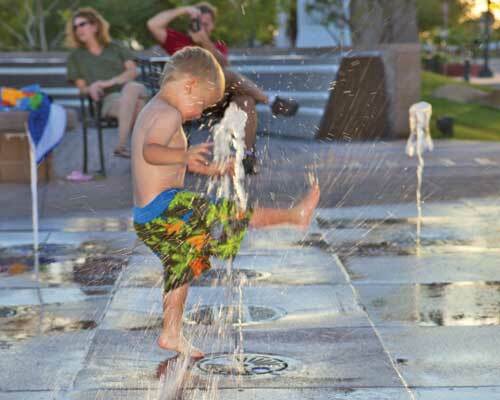 Gilbert's extensive Parks and Recreation department serves its residents with a multitude of sports programs, trails and open spaces, libraries, pools, and even a Riparian Preserve which is home to an array of desert wildlife and located just off the northwest corner of Morrison Ranch. Time and again, Gilbert Public Schools has been an "A" rated school district, with a 90% graduation rate, and award-winning STEM, Robotics, CTE, Fine Arts and Athletic programs. 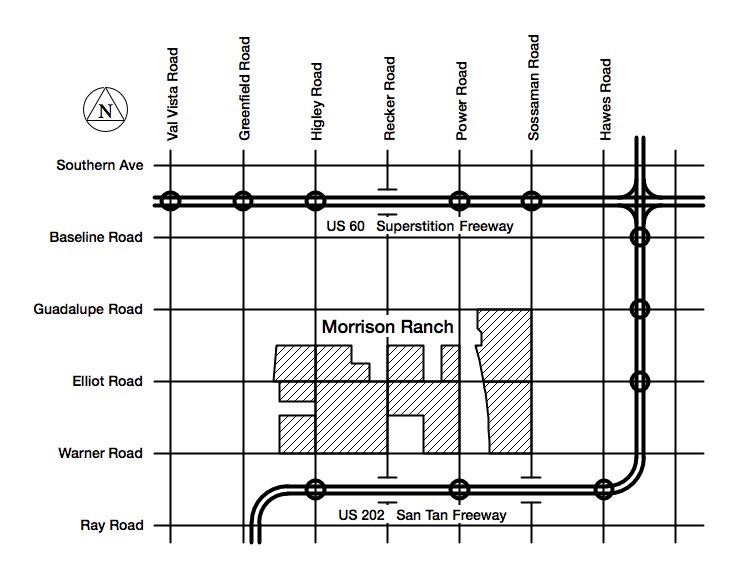 Morrison Ranch includes plans for an elementary school site within Lakeview Village North. The timing of the construction of that school is in the hands of the District. Morrison Ranch is also served by a host of charter schools in the immediate area. These include San Tan Charter School located in Morrison Ranch at the southwest corner of Elliot and Recker Roads. Downtown Gilbert has become a foodie's dream, hosting nationally recognized restaurants, some of which have even been featured on the Food Network. If that wasn't enough, Gilbert has been named one of the 5 Best Food Neighborhoods in Metro Phoenix. Morrison Ranch Town Center will continue the trend, with plans for a variety of dining options. Morrison Ranch is located at the eastern edge of Gilbert, and is easily accessible from any direction, as it's nestled between the US 60 Superstition and US 202 San Tan Freeways. Phoenix International Airport is approximate 25 minutes away, and the smaller Williams Gateway Airport is just a short 5 minute drive from the heart of Morrison Ranch. Desert Place is the only Morrison Ranch neighborhood which falls within the Mesa, Arizona city limits. 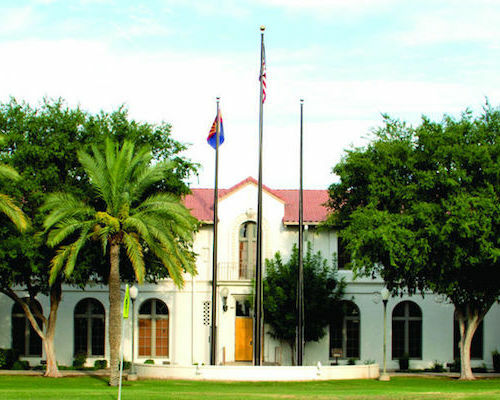 Still, its close proximity to the border of Gilbert places it within the Gilbert Public School district, and within a short distance to all of the other amenities Gilbert has to offer.